Book 2 in the Acclamation series, Reclamation picks up the story of Michael and Dominic just as tragedy strikes the Butler family. Loss, heartbreak and guilt challenge the relationship between teacher and student, taking their romance off course, more so than any social conventions in their path. Through winter and spring, through Valentine's Day, Lent and Easter, through revelations and self-discovery, will Michael and Dominic grow closer or apart?Praise for Acclamation“There was passion, pain, love and happiness. But this was mixed up with grief, trepidation, bravery and acceptance. All of this, in addition to well developed and complex characters, realistic dialog, great humor and an array of well placed events, made Acclamation an amazing and very touching read.” (October 2012, LeAnn’s Book Reviews)“…Vee Hoffman keeps things on an even keel, guiding her readers through the rushing waters of secrets, uncertainties and fresh desires with a deft hand. She writes some of the best descriptions of love, in its many incarnations, that I’ve read, and delivers a fascinating take on a life that’s intriguing for all its simplicity. 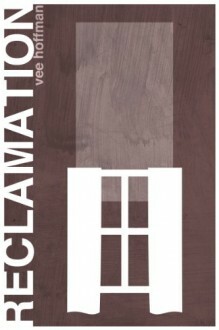 Acclamation is a slow, sweet romance that asks for your full attention, and the payout if you give it is well worth your time.” (October 2012, Bending the Bookshelf blog)Reclamation is the second book in the Acclamation series published by Indie Inklings Ltd. The first instalment, Acclamation, was released on October 9, 2012, and the third and fourth titles, Intimation and Ultimation respectively, have an anticipated release date of summer and autumn of 2013.